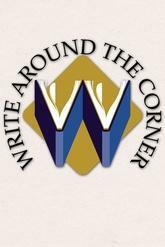 Ann will appear on Write Around the Corner, a Blue Ridge PBS show that features interviews with writers living in or writing about Virginia. The show will air on Tuesday, January 22 at 7:30 pm AND again on Tuesday, January 25, at 7:30 pm. Click the image above to watch a video of the episode! Ann will talk about Goner, GEEP and who knows what else on WSLS Channel 10 News' Daytime Blue Ridge Program. Tune in May 22nd at 11 am. The book will be available for purchase. The author will be present to read and sign copies. Nibbles & libations will be served.